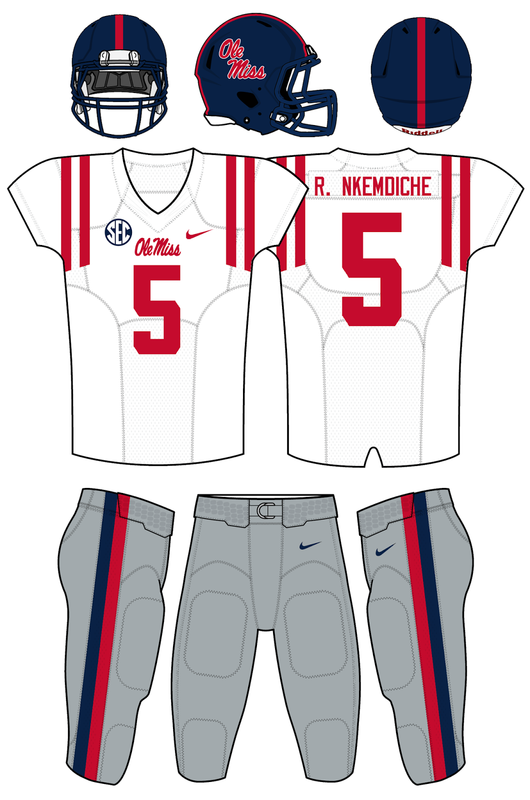 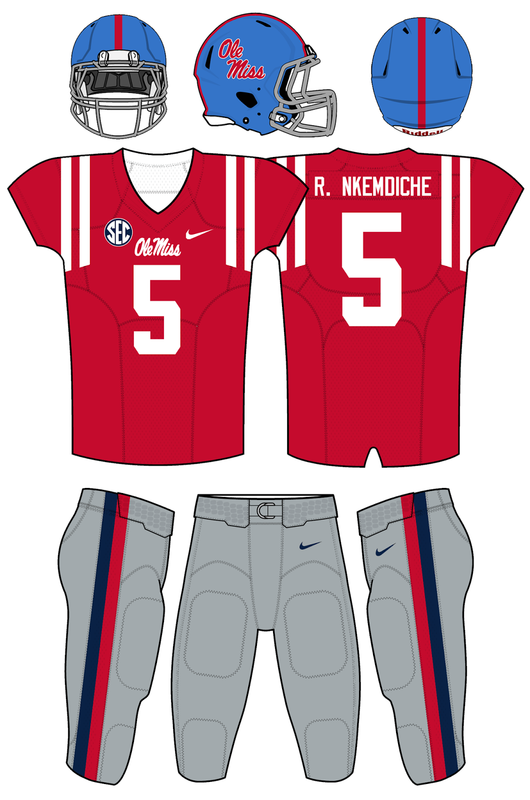 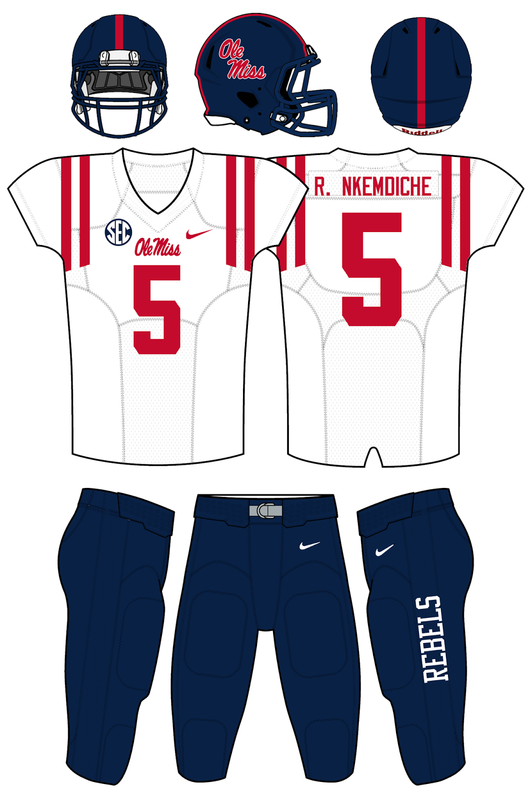 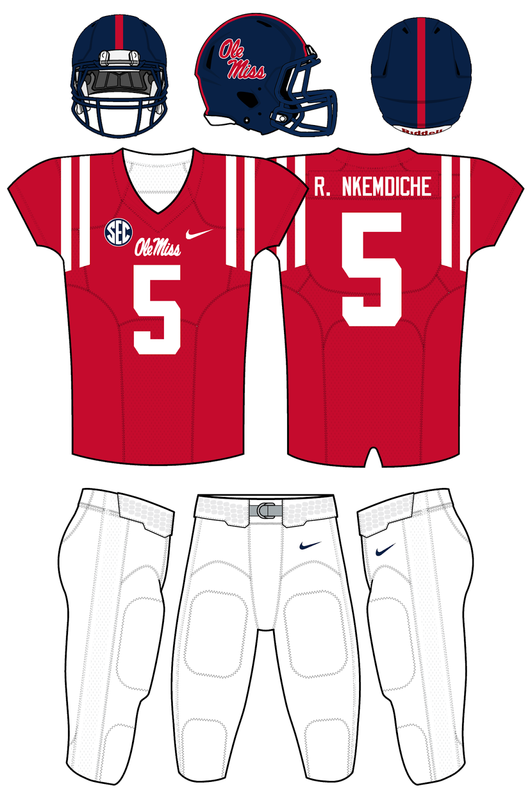 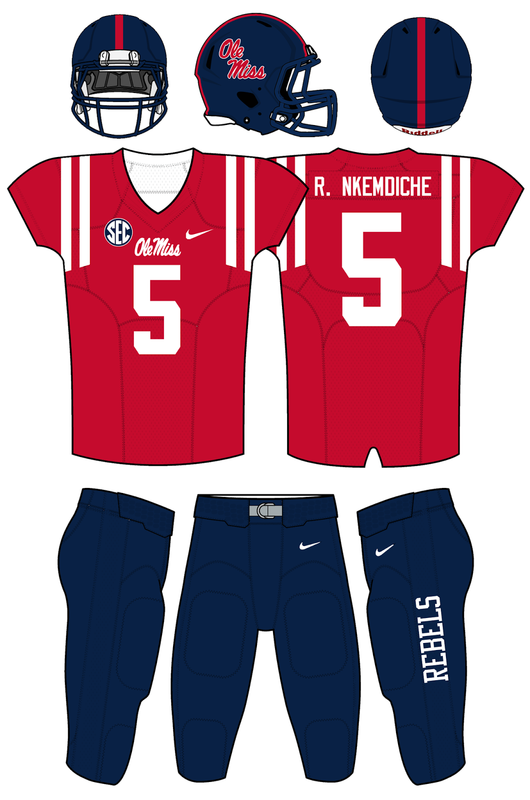 The Rebels will wear the same uniforms in 2015 as they did in 2013 and 2014. 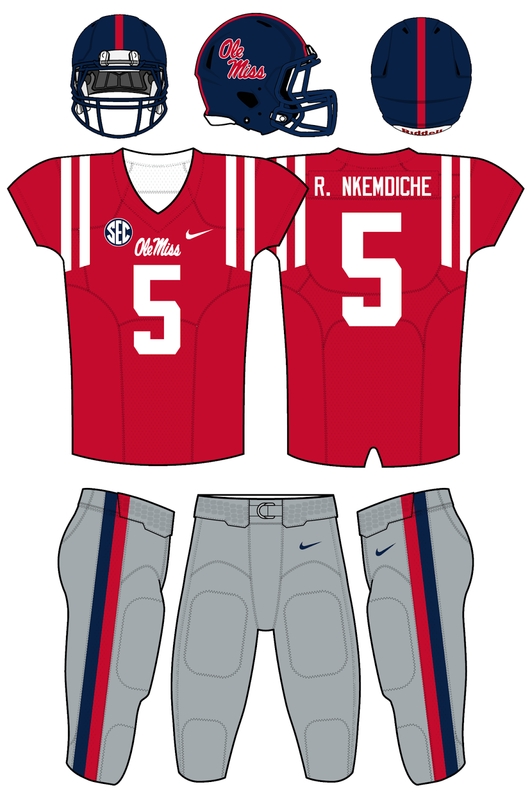 The only uni news regarding Ole Miss over the summer was that the Powder Blue helmets will return for a game. 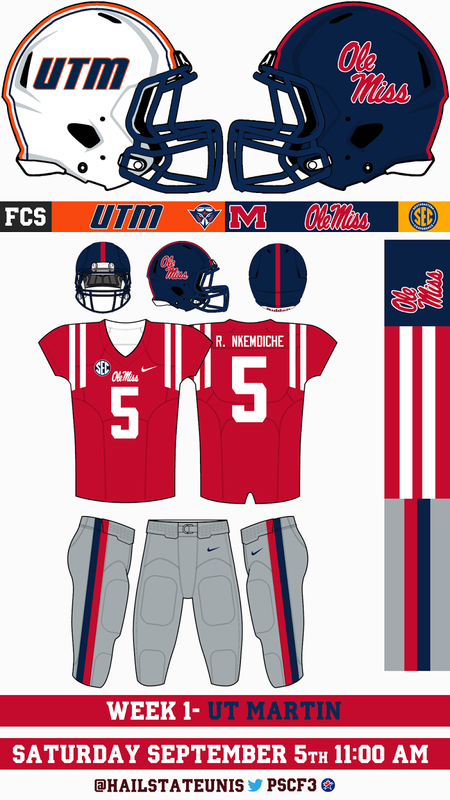 The uni tracker blog will be using a different presentation style for 2015 (still depicting the correct elite 51 jersey cut). 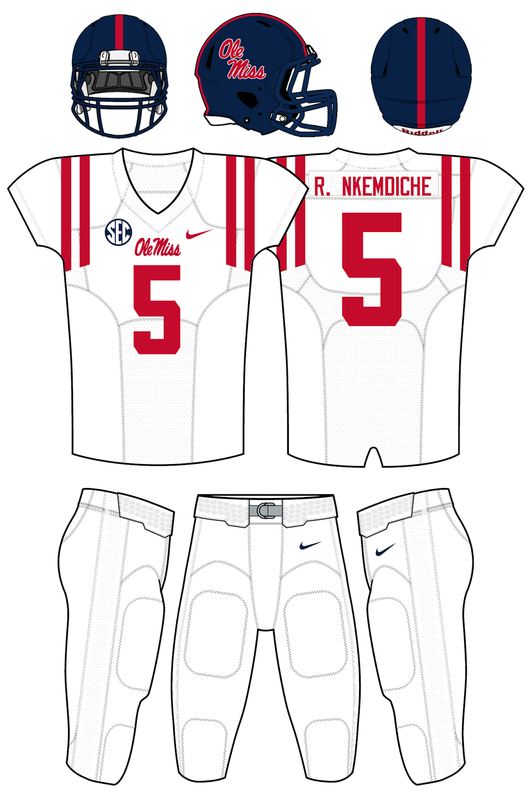 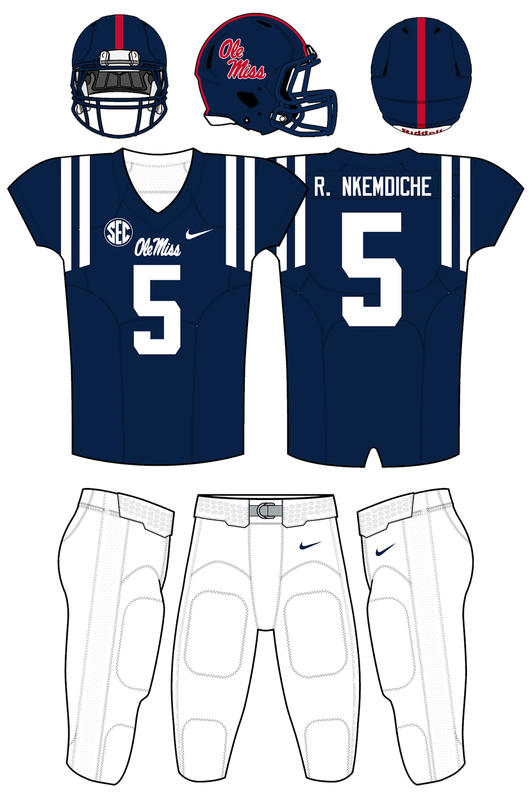 #5 Robert Nkemdiche will be the jersey model for 2015; he narrowly beat out #10 "Swag" Kelly to succeed #14 Bo Wallace (2014) and #12 Donte Moncrief (2013). They are not wearing the dual stripe on the pants. The UTM game was white pants with the new matching red stripes.